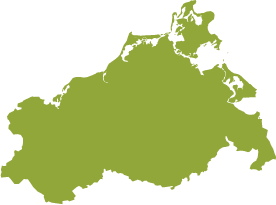 For over ten years, Marketinggesellschaft der Agrar- und Ernährungswirtschaft Mecklenburg-Vorpommern e.V. (AMV) has been the largest network with more than 125 partners in the sector with the strongest sales in the manufacturing industry in Mecklenburg-Vorpommern, agriculture and food production. Collaborative partnerships, ongoing exchanges of information and knowledge transfer form the foundations of our network. We have created a cooperative network in which the individual members gain considerably more exposure to the public than could ever be achieved in the role of a lone wolf. For regional producers, processors and manufacturers of conventional foodstuffs and semi-luxury foods as well as of organic products, AMV is the leading platform in the state for implementing joint marketing activities. As the industry association we are your contact for matters regarding marketing, export, professional development or involvement in trade fairs. You can also be confident that your interests are proficiently represented in state politics by AMV. We extend an invitation to interested producers, processors and manufacturers from the conventional and organic sectors in Mecklenburg-Vorpommern as well as partners to the sector: Work with us!